Arnold & Itkin is focused on protecting those who have been wrongfully injured or killed by the negligence of others. Our firm has won billions of dollars in verdicts and settlements for our clients. We have won all types of cases all over the country. If you work with our firm, you will have top notch trial lawyers representing you. We are proud to work on a contingency fee basis - meaning that unless we are successful in recovering money on behalf of our clients, we do not charge a dime. Since being founded in 2004, Arnold & Itkin, LLP has been dedicated to helping personal injury victims nationwide who are looking for high-quality legal representation. Founded by Attorneys Jason Itkin and Kurt Arnold, our legal team at Arnold & Itkin, LLP is known for our passionate and empathetic approach to personal injury law. We are a firm that focuses on serious injuries that need serious representation. From handling complex maritime cases to helping represent the victims of commercial truck accidents, we have shown throughout the years that we can be trusted. In fact, through our hard work and dedication, we have been successful in recovering millions of dollars in verdicts and settlements. Over the years, our firm has won billions in verdicts and settlements for our clients. This is done through tenacious negotiations out of the courtroom, as well as a never-say-never attitude while in it. Our legal team truly prides itself on being trial lawyers, not just paper pushers. Since being founded in 2004, our lawyers have tried more cases in a courtroom than most attorneys can boast of in their entire legal career. This is because Arnold & Itkin LLP is not afraid to take a case to trial. Whereas other firms will do everything they can to avoid it, we will prepare each case as if that is exactly where it is heading. In truth, our case results speak for themselves; to see for yourself, all you need to do is visit them online and read through our recent victories! Passionate about justice and unyielding when it comes to protecting the rights of our clients, our personal injury lawyers from Arnold & Itkin, LLP have shown time and time again that we are more than just the average attorney, we are advocates. If you are interested in learning more about the trial lawyers from our firm, give us a call today for your free, confidential consultation. We look forward to hearing from you and helping you in the pursuit of justice. At Arnold & Itkin, LLP, helping clients with personal injury law has always been a passion of ours. "Ever since I was young, I never liked bullies. I never liked the idea of injustice," said Attorney Jason Itkin. "And as I got older and was trying to figure out a way that I could fight bullies or fight injustice, the law seemed like a perfect fit for me." It is this deep belief in justice that led the lawyers at Arnold & Itkin, LLP to pursue personal injury law. We believe it is the best avenue for us to help people, by providing serious representation for those who have suffered serious injuries. Through our work, we're proud to help clients in the pursuit of maximum monetary compensation. Our firm is proud of the experience we have to offer our clients. Both of our founding partners, Attorneys Kurt Arnold and Jason Itkin, met while working at Susman Godfrey LLP, which is widely considered to be one of the top trial firms within the entire nation. While there, they both gained considerable trial experience and were able to broaden their scope of understanding regarding the legal system. Beyond that, both attorneys have worked hard to win billions of dollars in settlements and verdicts in personal injury cases. This has led to numerous awards and accolades, such as being selected as Super Lawyers, being honored by Houston Business Journal's "40 Under 40" program, being selected for inclusion in the Super Lawyers Rising Star list, and also being named by H Texas Magazine as one of the "Top Lawyers for the People", and even being invited into the Inner Circle of Advocates - an invite only group limited to the top 100 trial lawyers in the country. They have also been honored to help clients pursue justice after suffering from catastrophic injuries caused by the actions of a third party. For example, they represented 27 different crew members who were injured in the Deepwater Horizon explosion in 2010. By having hands-on experience with catastrophic accidents such as this, they are able to better understand what their clients are going through and are able to utilize their experience to help maximize recovery with more efficiency. At our firm, we strongly believe that our most distinguishing quality is our compassion for our clients. Many individuals who work with our firm are amazed at the level of service and personal attention that we give them. From coming to visit them at their home, texting, emailing, or answering phone calls, we always go above and beyond to ensure that our clients are kept in the loop and are updated as their case proceeds. We are simply not the type of firm to take on a case, put it on the backburner, and ignore it for large periods of time. Instead, we maintain constant, open interaction with our clients. We attribute this simply to how much we care. We look to develop long-term, honest relationships with the individuals we work with, and are proud of the fact that we are often able to call our clients our friends. We view personal injury law as just that: personal. Therefore, we fight hard to help our clients and do everything that we reasonably can to help them pursue just financial compensation so that they can get their life back on track. 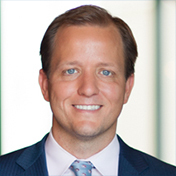 As one of the nation's top trial lawyers, Jason Itkin has obtained dozens of verdicts and settlements throughout the years' worth more $10 million. In fact, Jason has won several victories upward of $100 million each. In addition to these prolific cases, he has won close to 200 verdicts and settlements for more than $1 million each. In total, Jason has won billions of dollars for his clients. These victories have come in courtrooms all across North America, as he has represented clients in all 50 states. Jason has been the recipient of numerous awards and honors due to his success. This includes recognition on multiple coveted lists, including the Best Lawyers in America, Super Lawyers, Top 40 Under 40, and others. At the top of these honors, Jason regards his inclusion as a member of the Inner Circle of Advocates as his highest achievement. The Inner Circle is a list of the leading lawyers in the nation, as membership extends to only 100 trial attorneys in the United States. Jason was selected by the Inner Circle before the age of 40, crowning him the youngest member of this elite organization. Jason has been asked to work some of the country's most notable cases. He recently acquired verdicts for injured children against major pharmaceutical companies, verdicts that have set the precedent for future pharmaceutical cases. Jason has also represented families who lost their husbands and fathers to the sinking of the El Fargo cargo ship. After the Deepwater Horizon explosion, Jason was the top representative of those who were injured in the blast. Currently, Jason and his legal team are assisting home and business owners affected by the cataclysmic damage caused by Hurricane Harvey and the wildfires in Northern California. He and his firm thrive on helping people with their claims, regardless of whether they are filing for the first time, if their claim has already been denied, or if they have been given a settlement offer that is insulting at best. Jason has obtained record-breaking settlements because well-informed corporations understand that the conclusion of a hearing against Jason will end in financial ruin. A few months ago, Jason tried a case where an insurance company refused to compromise on a fair settlement for his client. The business's stance quickly dissipated once Jason finished cross-examining the company's "star witness." Immediately after the hearing, the company fired its long-standing attorney and the star witness. The following day, the business settled the case for nearly twice the requested settlement offer given by Jason's client pretrial. The business also officially apologized to Jason's client for their errors. Arguably the best example of Jason's prowess is the fact that other firms frequently ask him to work on their cases. More than 200 law firms across the United States have chosen to work with Jason. Jason is willing to fight insurance companies and large corporations because he is committed to giving the advantage back to those who it was stolen from. He earned his license to practice in Texas and Pennsylvania, before the Second and Fifth Circuit Court of Appeals, and the US Supreme Court. Jason is married to Kisha Itkin, President and Owner of Theorem Vineyards. Together, with their daughter Alia, the Itkins are active members and proud supporters of the Houston community. They support many causes individually and through the Arnold & Itkin Foundation. 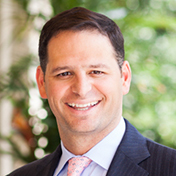 Kurt Arnold has set trial records all over the U.S., earning a reputation as a national leader in catastrophic personal injury litigation. He has secured billions of dollars in verdicts and settlementsincluding $1 billion in the last 12 months alone. He holds the records for the largest single-incident verdict in Louisiana history ($117 million), the largest commercial verdict in Hawaii history ($42 million), the largest verdict for an amputee victim in the nation ($44 million), and the largest settlement for an offshore death in U.S. history ($29 million). He has also represented clients in the most well-known cases in recent history, including representing crew members of the Deepwater Horizon after the tragic explosion; representing crew members' families after the El Faro was lost at sea; and representing victims in a large plant explosion in Louisiana. In each case, Kurt was able to secure record-setting results that will provide for his clients for the rest of their lives. Kurt has also helped homeowners and businesses recover their losses in the wake of disasters like Hurricane Ike and Hurricane Harvey. Insurance companies often deny or delay claims, betting that families or business owners won't have the resources to fight back. Kurt has had the privilege of taking these claims to court and recovering what they needed to rebuild their lives. He has been recognized by Best Lawyers for Admiralty and Maritime Law, as well as Personal Injury Litigation Plaintiffs. Kurt has been named to the 500 Leading Lawyers in America by Lawdragon and has been listed on the National Law Journal's Elite Trial Lawyer Top 50.